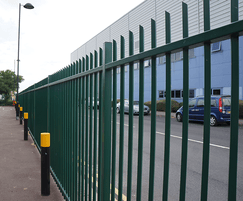 UK perimeter fencing and access solutions manufacturer Jacksons Fencing was chosen to secure the perimeter of Delta Park Industrial Estate, North London. 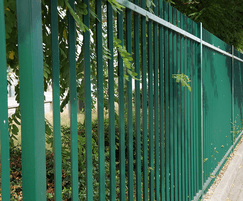 UK perimeter fencing and access solutions manufacturer Jacksons Fencing was chosen to secure the perimeter of Delta Park Industrial Estate, North London. Comprised of over 20 units, the site includes a furniture warehouse, logistics services and healthcare warehouse. With so many different firms using the facility for a wide variety of purposes, making decisions that will affect the entire estate can prove to be a challenge. 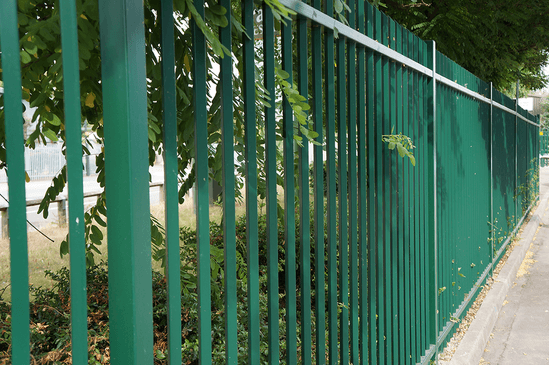 A surveyor from Cushman & Wakefield, a global commercial real estate company, contacted Jacksons Fencing, enquiring about installing generic palisade fencing for its Delta Park site. 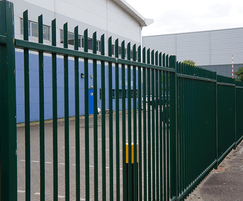 Simon, a member of the Commercial Sales Team at Jacksons, informed the client that Jacksons doesn’t manufacture or offer steel triple point palisade fencing because of its poor security performance. Wide pales can hamper surveillance while the bolted construction is a security risk as simply removing or breaking the lower fixing on one or two pales would allow them to swing aside to give repeated access to the site without leaving an easily visible sign that the perimeter had been breached. Jacksons provided information and evidence to the surveyor proving palisade products’ unsuitability for the desired level of security. On reviewing how easy the specified palisade was to breach, the surveyor worked closely with Jacksons to select a cost-effective and secure alternative. Jacksons' Barbican® range was suggested as, along with offering an attractive aesthetic and a 25-year Service Life guarantee, the vertical bar design features a welded pale-through-rail construction method. 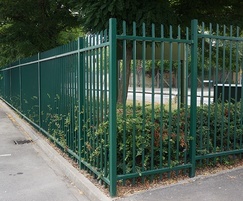 Rather than being bolted together, the upright posts are sleeved through the horizontal rails and fully welded in place, delivering a higher level of security. After speaking with the Jacksons team, the surveyor and architect chose to break the original specification and opted for Barbican. The final decision included 215m of 2m-high Barbican fencing, a manual Barbican single-leaf swing gate, an automated Barbican single-leaf gate, manual rising arm barriers and a pair of automated swing gates to control vehicular access lanes going in and out of the site. After winning the tender, sending a quote and waiting for planning permission, the installation took two months to complete, carried out by Jacksons’ own installation experts.